We require a Bank Domestic Assistant to join our team at Drumnadrochit Health Centre. Duties include cleaning to a high standard to ensure a safe, clean and hygienic environment for the patients and staff who work in and visit the Health Centre. Previous experience desirable, although full training will be provided. Bank Domestic Assistant is required to cover for sickness and annual leave. 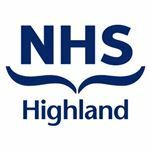 An application pack is available on our website www.jobs.scot.nhs.uk, by emailing nhshighland.recruitment@nhs.net or by calling 01463 705150. Applications should be returned by email or to Employment Services, Assynt House, Beechwood Business Park, Inverness IV2 3BW.